Limpopo police are searching for more suspects following the brutal murder of 27-year-old Thoriso Themane. Themane was at a park in Flora Park suburb when he was beaten up by a group of youngsters. 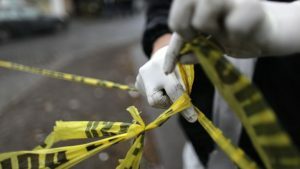 Five teenagers from different schools in the Polokwane CBD in Limpopo have been arrested in connection with the murder and will appear in court soon. The gang took a video of him being beaten and posted it on social media. Police spokesperson Moatshe Ngoepe says they cannot rule out the possibility that the violence might have been influenced by gansterism. “Police in Polokwane have so far arrested five suspects aged between fifteen and sixteen following the brutal murder of a 27 year old man. The incident took place on Saturday evening on Flora Park suburb and the victim was later that evening taken to hospital, where he succumbed to his injuries. The police were summoned and started with their investigation which led to the arrest. More arrests are still expected the arrested suspects will appear before the Polokwane Magistrate’s Court soon,” says Ngoepe. My heart aches so much when I think about what his loved ones are going through, not to mention what he must have gone through lying there feeling helpless . Justice for this young man should happen!!! The post Limpopo police search for more suspects in #JusticeForThoriso case appeared first on SABC News – Breaking news, special reports, world, business, sport coverage of all South African current events. Africa's news leader..